Middle Schoolers Ask: What's it Like to be a Scientist? 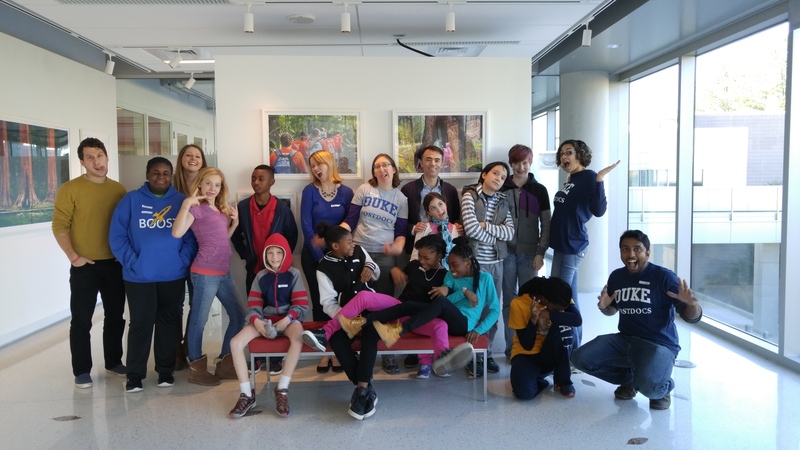 When a group of local middle schoolers asked four Duke postdocs what it’s like to be a scientist, the answers they got surprised them. For toxicologist Laura Maurer, it means finding out if the tiny silver particles used to keep socks and running shirts from getting smelly might be harmful to your health. For physics researcher Andres Aragoneses, it means using lasers to stop hackers and make telecommunications more secure. And for evolutionary anthropologist Noah Snyder-Mackler, it means handling a lot of monkey poop. On the other hand, Beverley Glover believes that such shimmering in plants can actually influence animal behavior by attracting pollinators better than their non-iridescent counterparts. Glover,Director of Cambridge University Botanic Garden, presented her study during the Biology Seminar Series in the French Family Science Center on Monday earlier this week. Nanoscale ridges on a petal’s epidermal surface. With the evidence that the bees were able to see iridescence, Glover set out for the second experiment: once the bees find a specific type of flower, how long does it take them to find the same flower in a different location? Using the triangular arrangement of shimmering surfaces as shown below, Glover observed that iridescence produced by a diffraction grating leads to significant increase in foraging speed as compared to non-iridescent flowers. While iridescence in plants is difficult to spot by a casual stroll through the garden, pollinators such as bees definitely can see it, and scientists have recently realized that insect vision and flower colors have co-evolved. In order to ensure that pollen is transferred between flowers of the same species, these flowers have developed a unique structure of iridescence. As scientists work on understanding which plants produce these beautiful colors and how the nanoscale structure is passed down through reproduction, we can only look at our gardens in wonder at the vast amount of nature that still remains to be explored and learned. Beverley Glover is the Director of Cambridge University Botanic Garden and is currently accepting applications for PhD students. Seventy middle school students oohed and aahed as soap bubbles full of propane burst into flame. “First row, don’t get burned!” shouted Douglass Coleman, director of the BOOST program, a summer science camp program for students in grades 5 through 12. 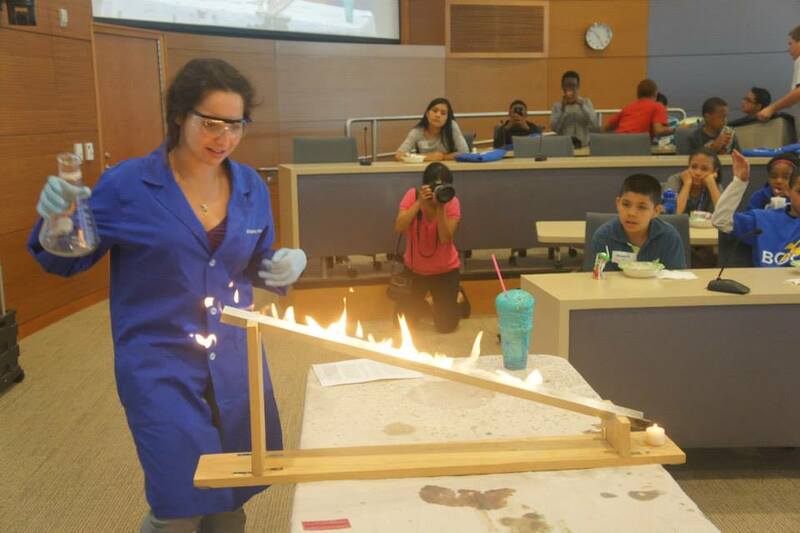 Duke Chemistry Outreach student Danielle Holdner makes fire do tricks. Duke chemistry instructor Ken Lyle and student Danielle Holdner brought their travelling chemistry demos to the MDB Trent Semans Center Monday for the BOOST kids. They created chemical smoothies and rainbows that taught the students about acids and bases. They sparked up fireworks to teach the students about gases such as butane and propane. BOOST (Building Opportunities and Overtures in Science and Technology) is designed to teach kids from all cultures and racial backgrounds about science and inspire them to pursue careers in science, technology engineering, medicine and related fields. BOOST director Coleman, who is known for his playful antics at the presentations, said the program opens doors for students and provides them with opportunities. BOOST is divided into three groups depending on grade level and interest of science. Rising 5th and 6th graders are in Boost, rising 7th graders who are interested in food science/chemistry or technology are in Boost XL. Rising 8th graders interested in biological science or engineering are in Boost XXL. Teachers and junior coaches at the program said it keeps students eager to learn science. “This program keeps students engaged and motivated in hands- on activities, “said Stefanie Joyner, a teacher for Boost XXL. Sierra Foster, junior coach for Boost XXL, said BOOST can open students’ eyes to new science. “This program can build their knowledge and help them understand more than what they might already know,“ said Foster. BOOST is funded through a grant from the Science Education Partnership Award (SEPA) from the National Institute of Health (NH). For more information on BOOST, visit http://sites.duke.edu/boost/ or call (919) 681-1045. AIDS vaccine researchers may be one step closer to outwitting HIV, thanks to designer antibodies and antigens made to order at Duke. HIV was identified as the cause of AIDS in 1983. Despite decades of progress in understanding the virus, an effective vaccine remains elusive. The lack of success is partly due to HIV’s uncanny ability to evade the immune system. 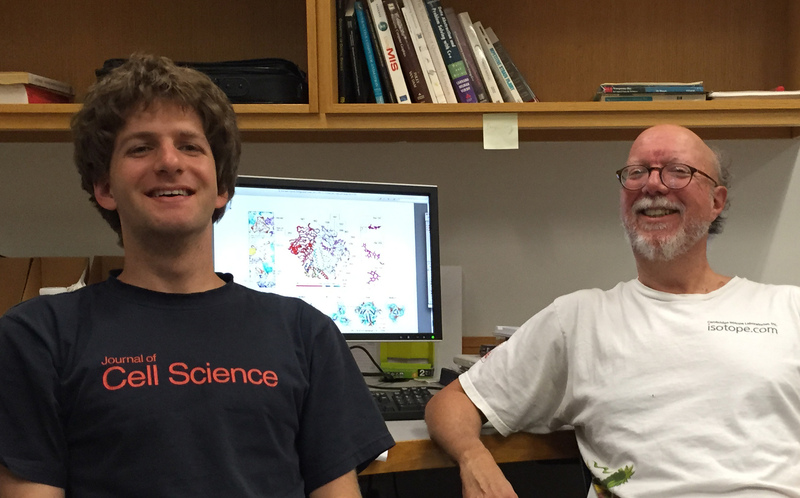 Duke graduate student Mark Hallen and his advisor, Duke computer science and chemistry professor Bruce Donald. Hallen was awarded a 2015 Liebmann Fellowship for graduate studies. Now, a team of researchers including Duke computer scientist Bruce Donald and graduate student Mark Hallen have published a 3-D close-up of a designer protein that, if injected into patients, could help the immune system make better antibodies against the virus — a step forward in the 30-year HIV vaccine race. Led by structural biologist Peter Kwong at the Vaccine Research Center in Bethesda, Maryland, the team’s findings appeared online June 22 in the journal Nature Structural & Molecular Biology. More than 35 million people worldwide are living with HIV, and about two million more people are infected each year. Antiretroviral drugs can prevent the virus from reproducing in the body once someone is infected, but only a vaccine can stop it from spreading from one person to the next. Vaccines work by triggering the immune system to make specialized proteins called antibodies, which prime the body to fight foreign substances. But in the case of HIV, not all antibodies work equally well. One reason is that HIV is always mutating in the body. 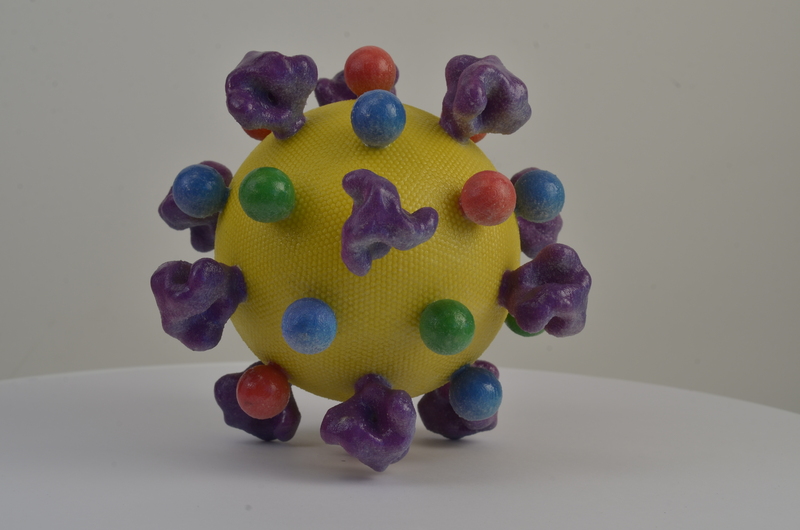 3D print of HIV. In real life the virus is thousands of times smaller than the width of a human hair. HIV is covered with proteins (purple) that enable it to enter and infect human cells. Photo by Daniel Mietchen via Wikimedia Commons. HIV incorporates its genetic material into the DNA of its host, hijacking the cell’s replication machinery and forcing it to make more copies of the virus. Each round of replication generates small genetic “mistakes,” resulting in slightly different copies that the host’s antibodies may no longer recognize. Even before the body makes an antibody that works against one strain, the virus mutates again and makes a new one. “It’s a race against a moving target,” said Hallen, who was also an undergraduate at Duke majoring in chemistry and mathematics. In the early 1990s, researchers discovered that a tiny fraction of people infected with HIV are able to produce antibodies that protect against many different strains at once. These “broadly neutralizing antibodies” fasten to the virus’s surface like a key in a lock and prevent it from invading other cells. But HIV can evade detection by these powerful antibodies, as the part of its outer coat that is vulnerable to their attack is constantly changing shape. To overcome this problem, first the researchers needed a close-up look at the region of interest — a spike-shaped virus protein known as Env — in its most vulnerable state. A 3-D closeup of a key virus protein frozen in a shape the researchers say could serve as a template for a vaccine. Image courtesy of Bruce Donald. With this 3-D blueprint in hand, Hallen and former Duke PhD Ivelin Georgiev developed a scoring system and rated dozens of antibodies according to how well they bound to it. They confirmed that the specific conformation of the Env protein they identified was visible to effective antibodies but not ineffective ones. The team then identified amino acid sequence changes that would freeze the protein in the desired shape. Once locked in place, the researchers say, the protein could be injected into patients and used to coax their immune systems into preferentially churning out only the most effective antibodies. “The idea is to ‘tie’ the protein so that it can’t transition to some other conformation and elicit ineffective antibodies as soon as the effective antibodies bind,” Donald said. Support for this research included grants from the US National Institutes of Health, the US National Institutes of General Medical Sciences, the US National Institute of Heart, Lung and Blood, the US National Science Foundation and the Bill and Melinda Gates Foundation. CITATION: “Crystal Structure, Conformational Fixation and Entry-Related Interactions of Mature Ligand-Free HIV-1 Env’,” Kwon, Y. et al. 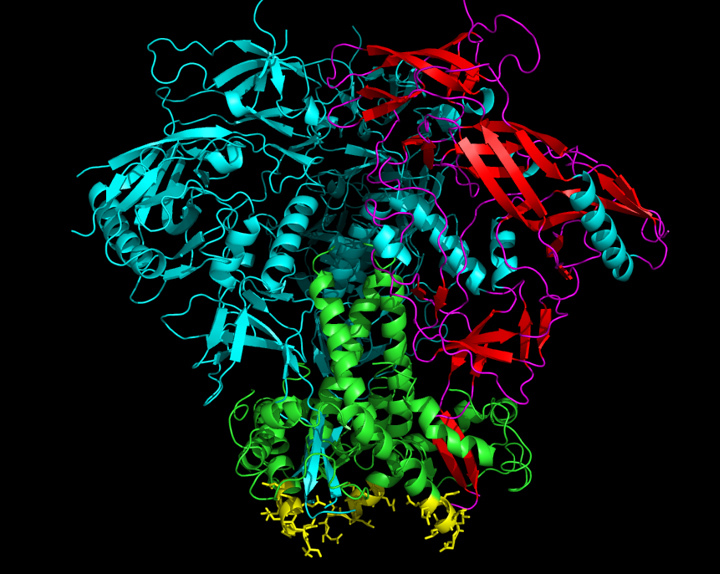 Nature Structural & Molecular Biology, June 22, 2015. DOI: 10.1038/nsmb.3051. Robin Smith joined the Office of News and Communications in 2014 after more than ten years as a researcher and writing teacher at Duke. She covers the life and physical sciences across campus. Your college textbook pages probably look something like the picture below – traffic jams of black boats on a prosaic white sea. But instead of reading purely from static texts, what if your chemistry class had 3D touch-screens that allowed you to manipulate the colors and positions of atoms to give you visual sense of how crystal and organic structures align with respect to each other? Or what if you could fold pieces of paper into different shapes to represent various combinations of protein structures? This is the future of science: visualization. Duke students and staff gathered in the Levine Science Research Center last week to learn more about visualizing chemical compounds while munching on their chili and salad. Robert Hanson, Professor in the Department of Chemistry at St. Olaf College, was enthusiastic to present his research on new ways to visualize and understand experimental data. 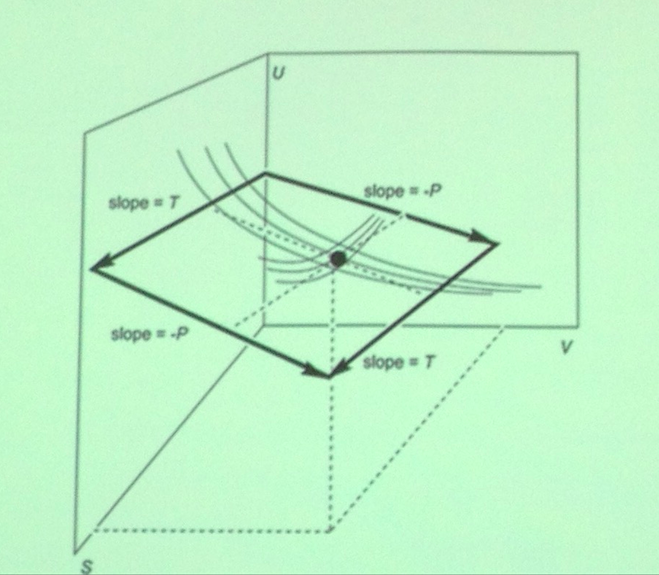 Hanson opened his talk with various applications of visualization in research. 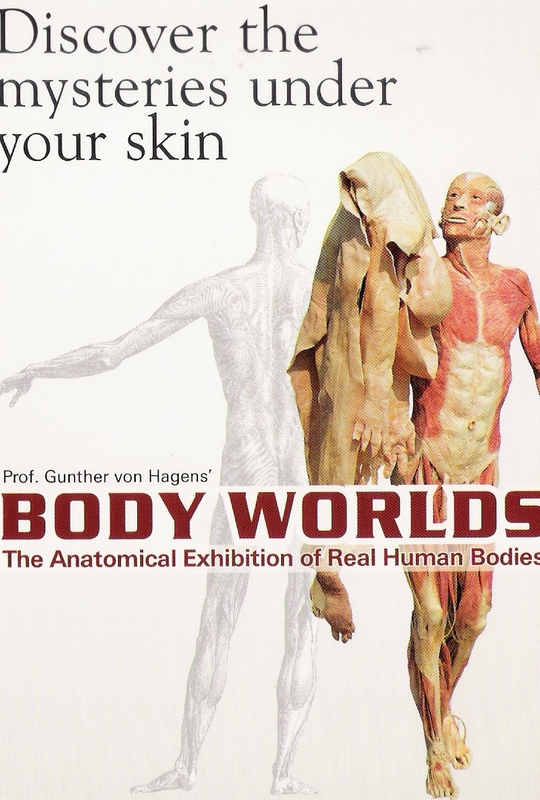 He expressed a huge respect for medical visualization and the people who are able to illustrate medical procedures, because “these artists are drawing what no one can see.” Take “Body Worlds,” for example, he said. One of the most renowned exhibitions displaying the artistic beauty of the human body, it elicited a myriad of reactions from the audience members, from mildly nauseated to animatedly pumped. Hanson also spoke about the significance of having an effective visualization design. 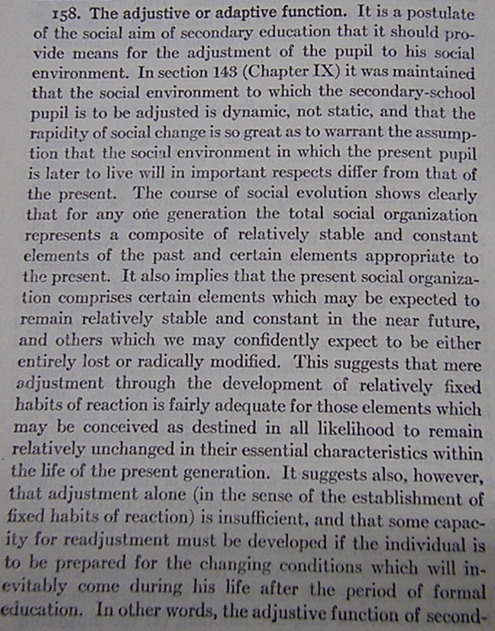 Very simple changes in visualization, such as a table of numbers versus a labeled graph, can make a “big difference in terms of ease of the audience catching on to what the data means.” For example, consider the excerpt of a textbook by J. Willard Gibbs below. 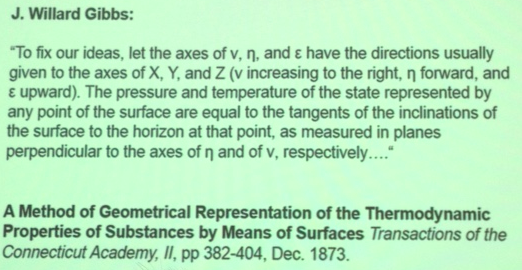 One of the earliest chemists to study the relationship between pressure and temperature, Gibbs wrote “incredibly legible, detailed, verbatim notes,” Hanson said. Then he asked the audience: Honestly, would one read the text fervently, and if so, how easy would it be to understand these relationships? Excerpt of J. Gibbs’ text. Not very, according to James C. Maxwell, a distinguished mathematician and physicist, who attempted to design a simpler mechanism with his inverted 3D plaster model. Subsequent scientists created the graph shown below to represent the relationships. Compared to the text, the diagram gives several different pieces of information about entropy and temperature and pressure that allow the reader to “simply observe and trace the graph to find various points of equilibrium that they couldn’t immediately understand” from a block of black and white text. Graphical view of Gibbs’ theory on the relation between temperature and pressure. 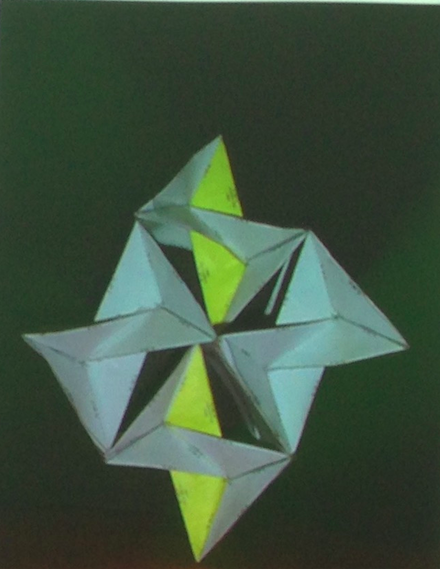 Hanson went further in his passion to bring chemistry to the physical realm in his book titled “Molecular Origami.” The reader photocopies or tears out a page from the book, and then folds up the piece of paper according to dotted guidelines in order to form origami molecular “ornaments.” The structures are marked with important pieces of information that allow students to observe and appreciate the symmetry and shapes of the various parts of the molecule. 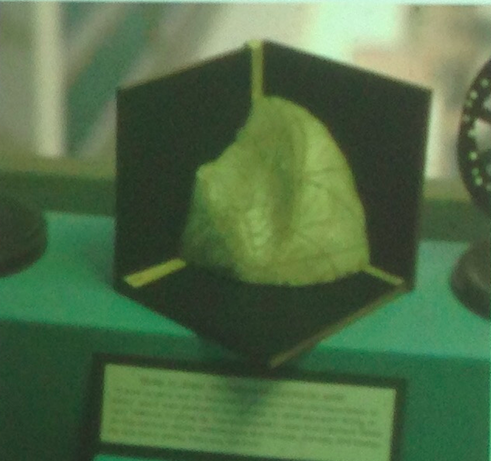 One of his best moments with his work, Hanson recounted, was when he received a telephone call from some students in a high school asking him for directions on how to put together a 3D model of bone. After two hours of guiding the students, he asked the students what the model finally looked like – since he had knowledge of only the chemical components – and was amused to hear a cheeky “He doesn’t know.” Later that year, Hanson was rewarded to see the beautiful physical model displayed in a museum, and was overjoyed when he learned that his book was the inspiration for the students’ project. More recently, Hanson has worked on developing virtual software to view compounds in 3D complete with perspective scrolling. One of his computer visualizations is located in the “Take a Nanooze Break” exhibition in Disneyland, and allows the user to manipulate the color and location of atoms to explore various possible compounds. 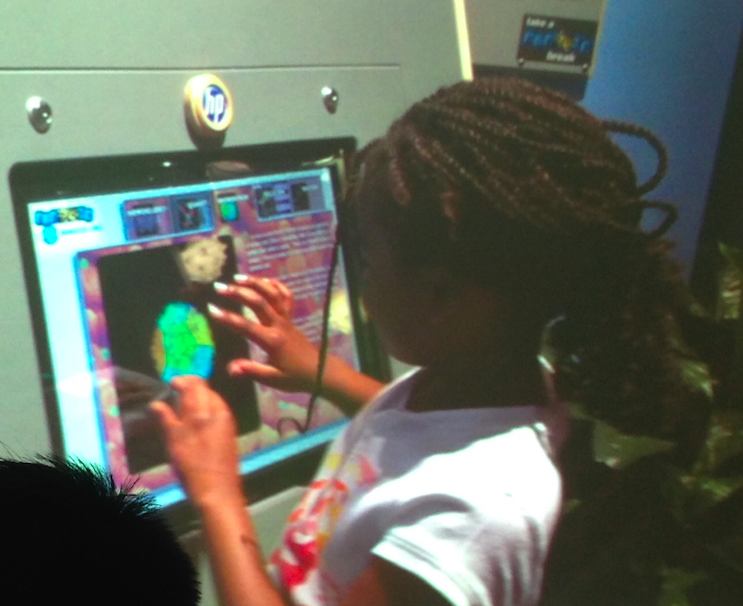 “Touch-A-Molecule” is located in the Epcot Center in Disneyland. By creating images and interactive software for chemical compounds, Hanson believes that good visualization can empower educators to gain new insights and make new discoveries at the atomic level. By experimenting with new techniques for dynamic imagery, Hanson pushes not only the “boundaries of visualization,” but more importantly, the “boundaries of science” itself. 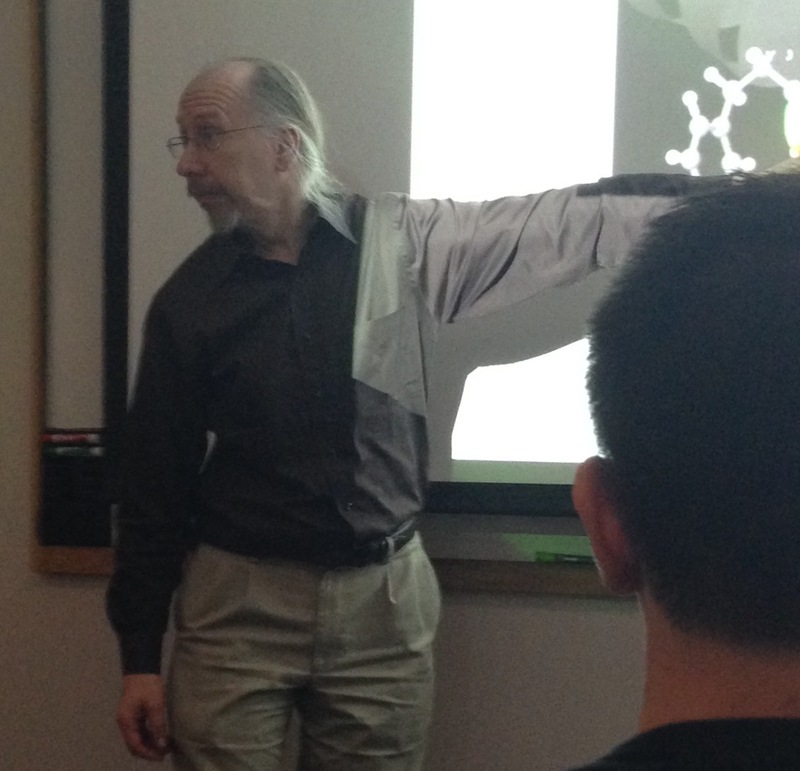 Professor Hanson explains how to visualize points of interaction on a molecule. Contact Professor Hanson at hansonr@stolaf.edu. View Hanson’s book on “Molecular Origami” or buy a copy from Amazon. 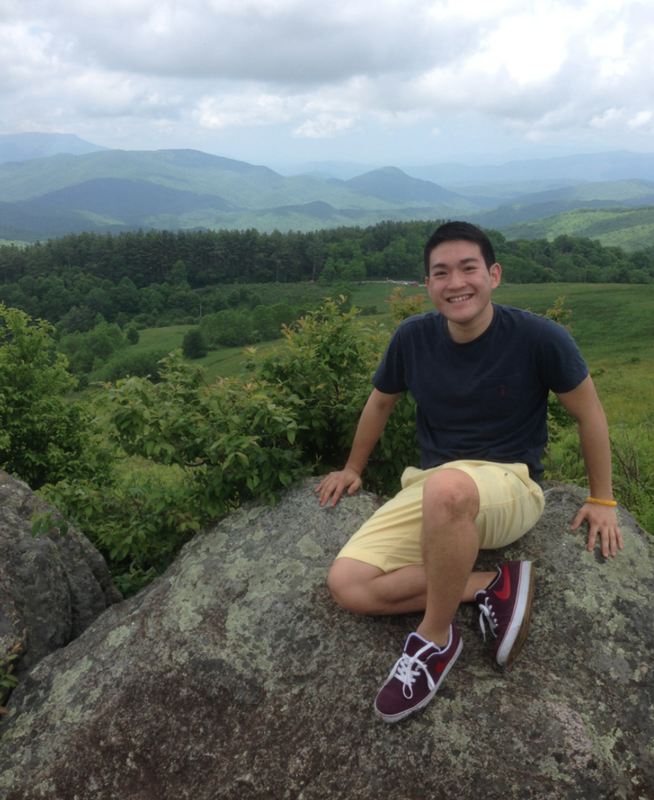 Ben Wang, a senior Evolutionary Anthropology major from New Jersey, strongly believes we are what we eat. A foodie, scientist, and future health care practitioner, he thinks that changing food habits can improve our nation’s health. Freshman year, Wang knew he had this interest in food, but he didn’t know how to incorporate it into his academic world. During his second year, Wang started to find his way. “I remembered the topic when I was hunting for a research lab, and started working in Dr. Tso-Pang Yao’s metabolism lab so that I could learn more about how nutrition directly impacts health,” he said. Wang spent time investigating proteins that increase or decrease the amount of “mitochondrial fusion” that happens in cells. Wang explained that metabolism is how our bodies process food and distribute nutrients, and these compounds help in that process. “I really enjoyed this lab because the topic was directly related to patient care and our research had direct pharmacologic applications,” Wang said. In the summer of 2014, he pursued a Bass Connections fellowship in rural Appalachia, in one of the most impoverished counties in the US. 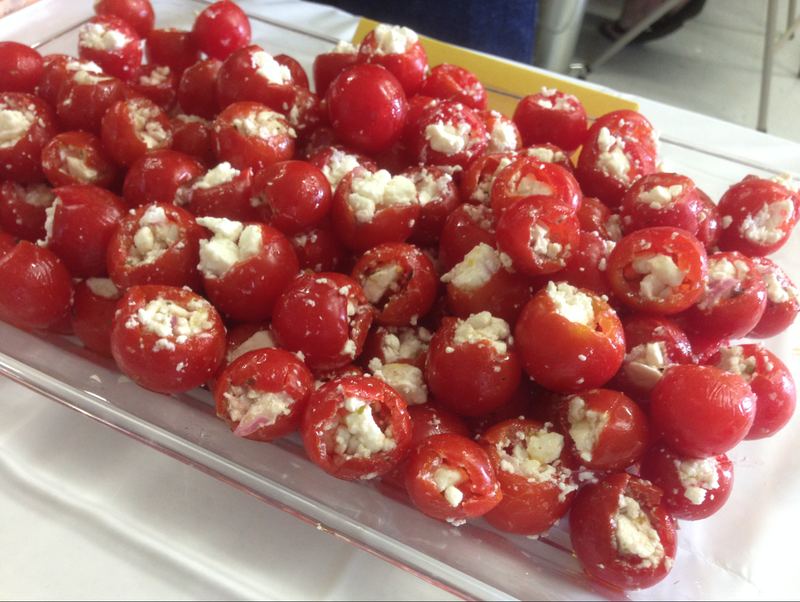 He participated in a Farm-to-Table partnership between local Appalachian farms and a middle school. 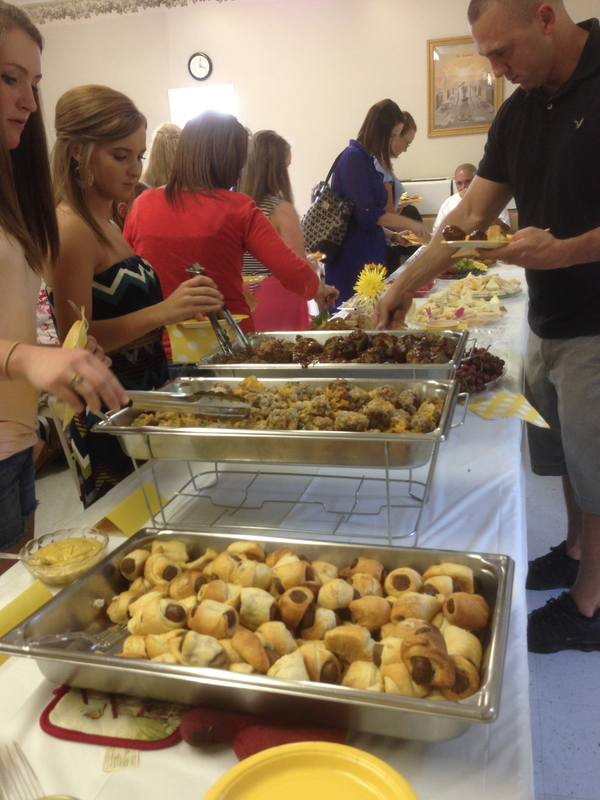 This partnership was part of a broader program for Appalachian girls. 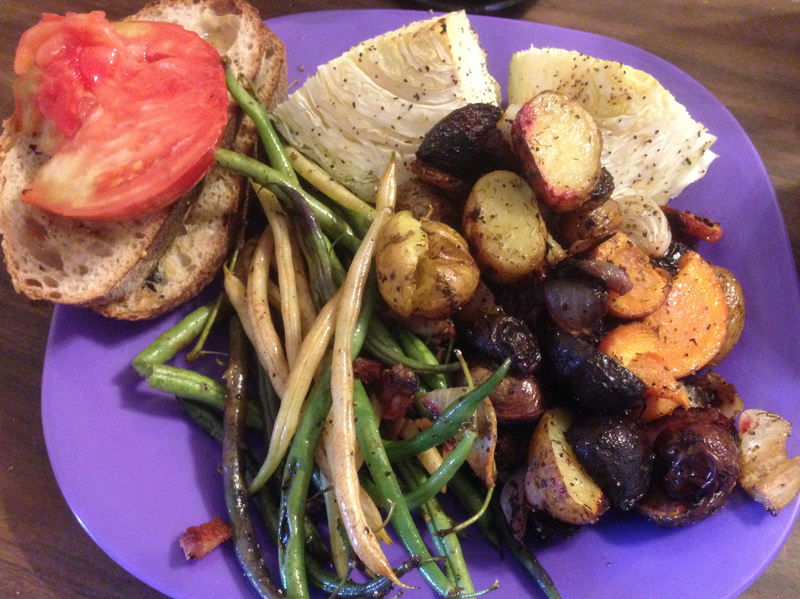 He coordinated the logistics and ended up doing much of the culinary work for the partnership, cooking up delicacies with ingredients like swiss chard, beets, and kale. They did not always like his creations. But he persevered, and ultimately most of the girls were excited about what they had learned and reevaluated the way they ate. Maintaining lasting gains will be difficult because much of the food would have been unaffordable to the girls on their own. In the town that they live in, the closest supermarket is a Walmart a half hour away. Other than that, there is a Dollar General and Hillbilly Market, neither of which stock fresh produce, according to Wang. However, Wang thinks that showing these girls there are food options beyond those that they have experienced was valuable, and that they can choose to strive for them if they want to. As for Wang, he is headed to dental school in the fall and hopes to include nutritional awareness in his future practice to help his patients achieve better systemic health. If you think ordering a drink from Starbucks can be a tall order, try picking out the right material for a new product or experiment. An iced, half-caff, four-pump, sugar-free, venti cinnamon dolce soy skinny latte may be a mouthful, but there are hundreds of thousands of known—and unknown—compounds to choose from, each with their own set of characteristics. 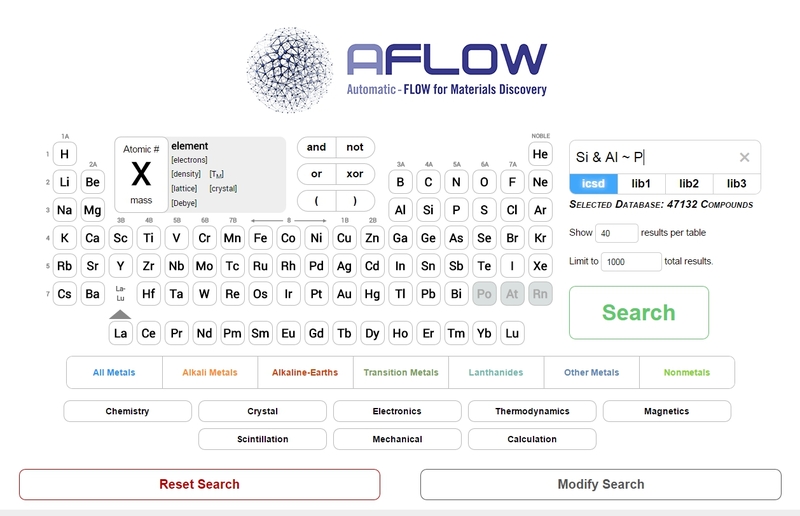 Screenshot of the AFLOW library search interface. The software combs through four giant databases of chemical compounds. For example, take the family of materials Bi2Sr2Can-1CunO2n+4+x, or bismuth strontium calcium copper oxide for short, if you can call it that. These compounds have the potential to change the world because of their ability to become superconducting at relatively high temperatures. But each sibling, cousin or distant relative has its own physical variations…so how to choose which to pursue? Thanks to Stefano Curtarolo and his research group, now there’s an app for that. Curtarolo leads a collection of research groups from seven universities specializing in something they call materials genomics. The group—called the AFLOW consortium—uses supercomputers to comb databases for similar structures and builds theoretical models atom-by-atom to predict how they might behave. With help from several members of the consortium, Pratt School of Engineering postdocs Cormac Toher, Jose Javier Plata Ramos and Frisco Rose, along with Duke student Harvey Shi, have spent the past few months building a system that combs through four materials databases. Users can choose the elements and characteristics they want a material to have—or not to have—and the website will play matchmaker. Want a two-element compound containing either silicon or germanium—but not gallium—that is stable enough to withstand high temperatures? Not a problem. How about an electric insulator made from transition metals with a certain crystal structure? AFLOW has you covered. One of the four databases searched by the program draws from an international collection of compounds with structures known from experimentation. 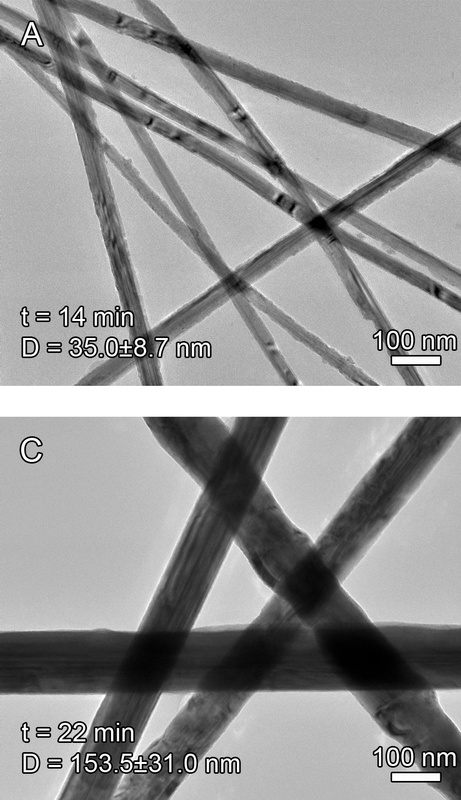 The other three contain single- double- or triple-element compounds, and are not limited to previously explored materials. Through their molecule-building algorithms, the AFLOW consortium is constantly adding prospective materials to these four libraries. The search engine currently can sort through more than 622,000 known and unknown compounds, and more than 1,000 new ones are added each week. 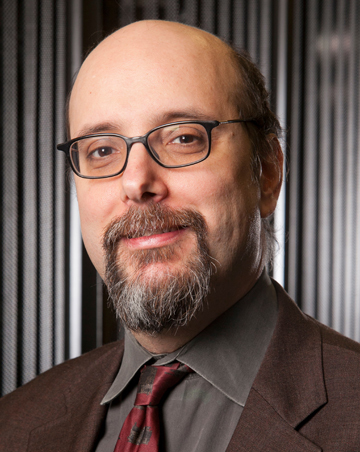 Curtarolo, a professor of materials science and physics, hopes that the open-source program will continue to grow in materials and searchable characteristics to help scientists connect to their ideal material. To see how it works for yourself, take it for a test drive here. As for an equivalent database of coffee drinks, that has yet to be built. So if you’re looking through AFLOW for a hot, lactose-free drink featuring 150 to 200 mg of caffeine and less than 200 calories made with beans from South America, you’re out of luck. The dangers of flame retardants have long been the source of public health debate, thrust into the public eye by legislators, non-profit organizations, and special interest groups. Often missing, though, is the story of the extensive scientific background necessary to ground these arguments: Heather Stapleton, the Dan and Bunny Gabel Associate Professor of Environmental Ethics and Sustainable Environmental Management, and research scientist Ellen Cooper and their teams fill this role at the Nicholas School of the Environment. As a former intern at the Center for Environmental Health, where I advocated against legislation that promotes the use of flame retardant chemicals, I was fascinated to learn the technical side of the conversation from Cooper. Flame retardants have been present in furniture and other foam-based items largely due to fire safety regulations like California’s TB117, which requires home furniture to resist bursting into flame for a certain amount of time. Historically, manufacturers have met this standard by using flame retardant chemicals that may impact brain development in children or even cause cancer. Consequently, foam producers have added flame retardants to all their foam, even foam meant for products not covered under TB117. Evidently, the resulting flame retardant-laden selection of furniture poses a threat to the health of consumers, who effectively have little choice in protecting themselves against potentially dangerous chemicals. Unsurprisingly, scientifically studying flame retardants requires rigorous chemical analysis. Ellen Cooper, along with the Analytical Chemistry Core, specializes in preparing foam samples and running them through mass spectrometers to identify the flame retardants. The Chemistry Core collaborates with the Stapleton Lab to ensure accurate analysis of often-fragile flame retardants. Both are a part of Duke’s Superfund Research Center. Cooper’s work has been instrumental in the Stapleton lab’s creation of a foam testing service for consumers. In January, the Stapleton lab started the first foam testing service ever open to the public! 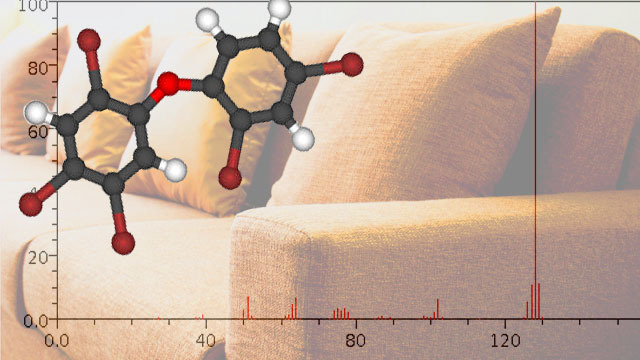 Now, consumers can send in up to five samples from their furniture to receive complimentary results which are provided by the Analytical Chemistry Core. On the foam testing website, consumers can also find statistics on common sources of flame retardants and information on how to avoid exposure to flame retardants. Through these efforts, the Stapleton lab is allowing consumers to take back their autonomy. Additionally, Cooper is working to create a database of all collected samples. Currently, there exists no definite data on which manufacturers’ products contain which flame retardants, or how levels of flame retardants in furniture have changed over time. With enough data points, Cooper and her team hope to create such heat maps or time analyses, making for a more informed debate, and ultimately a more well-protected public. A new compilation of the world’s most-cited scientists just released by Thomson Reuters (our friends from March Madness), shows that 32 Duke researchers are in the top one percent of their fields. 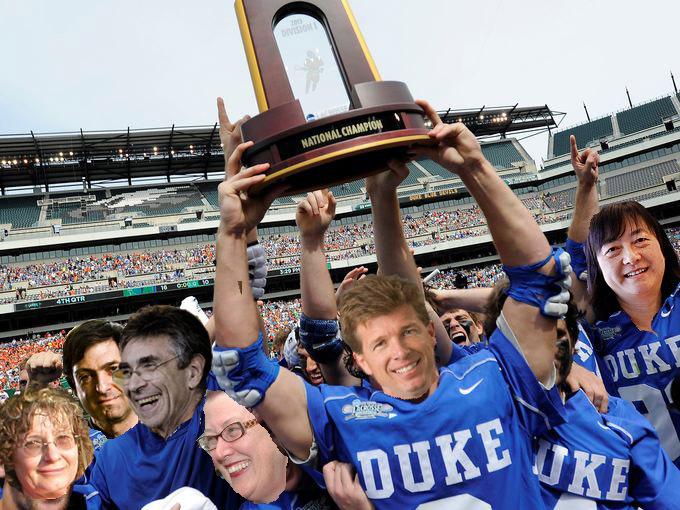 There are 3215 most-cited scientists on the list, so perhaps that makes Duke the one percent of the one percent? Most-cited means a particular paper has been named frequently in the references by other papers in that field. And that “is a measure of gross influence that often correlates well with community perceptions of research leaders within a field,” Thomson Reuters says. The database company admits their study methodology does favor senior authors who have had their papers out there longer, but there are quite a few younger Duke researchers in this list too. From the Medical Center, the tops in citations in clinical medicine are cardiologists Eric Peterson, Robert Califf, Christopher Granger, and Eric Magnus Ohman. Michael Pencina, a biostatistician at the Duke Clinical Research Institute, is also most-cited in clinical medicine. Perhaps not surprisingly, Nobel laureate, biochemist, and father of the G-protein coupled receptor Robert Lefkowitz made the list in pharmacology and toxicology. Barton Haynes and David Montefiori of the Duke Human Vaccine Institute are listed in the microbiology category. Medical School basic scientist Bryan Cullen of Molecular Genetics and Microbiology was cited in microbiology. In psychiatry/psychology, A. John Rush, the vice dean for clinical research at Duke-NUS School of Medicine in Singapore, made the list, as did Richard Keefe, Joseph McEvoy of psychiatry and Avshalom Caspi, and Terrie Moffitt of Psychology & Neuroscience in Arts & Sciences. Also from Trinity College of Arts and Sciences, Ahmad Hariri and HonaLee Harrington of Psychology & Neuroscience also made the list in psychiatry/psychology. Benjamin Wiley was oft-cited in Chemistry, James Berger and Ingrid Daubechies in mathematics, and plant biologists Philip Benfey, Xinnian Dong and Tai-Ping Sun in the category of plant and animal science. Sanford School of Public Policy Dean Kelly Brownell is on the list in general social sciences, along with Arts & Sciences sociologist James Moody and nutrition researcher Mary Story of community and family medicine and the Duke Global Health Institute. Nicholas School of the Environment researchers Robert Jackson and Heather Stapleton were cited the environment/ecology category. From the Pratt School of Engineering, David R. Smith was cited in the physics category and Jennifer West in materials science. The economics and business category includes Dan Ariely along with his Fuqua School of Business colleagues Campbell Harvey and Arts & Sciences economist Tim Bollerslev. The Thomson Reuters analysis is based on their Web of Science database. This is the first time it has been done since 2001, when there were 45 Duke names on the list (including five that appeared again this time), but the methodology has changed somewhat.